This worksheet is about likes and dislikes and the use of the zero article. 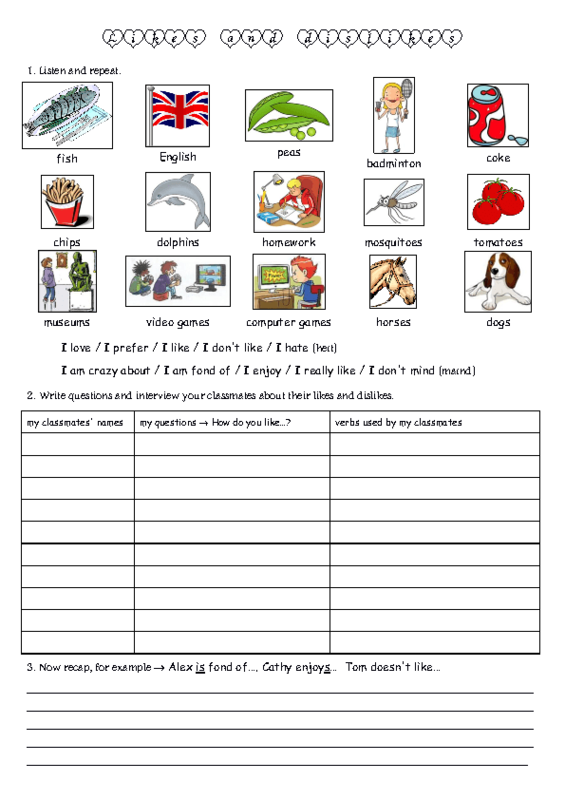 Students have to learn and repeat a few words and a few verbs, they can tell the class what they like and what they don't like. 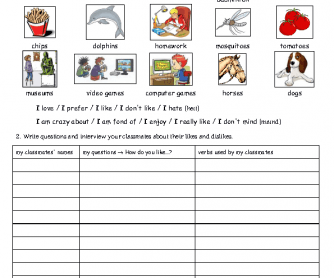 Then they have to go and interview their classmates, fill in a grid and write a report about their classmates' likes and dislikes.